Freedom Trike n' Bike offers solutions to all of your mobility needs. If you are looking for a specialty trike we are here to provide top of the line products from a wide variety of brands. Notice to Parents and or Guardians: When ordering any of these products on this web site for children or adults with any type of disability, the Parent and or the Guardian should consult with their doctor, therapist or medical advisor before ordering from us or any other retailer. Rider must never be left unattended while on any of the following products found on this web site. Approved head wear must be worn at all time while on the tricycle. Extra care is required when using any of these products. See our Heavy Duty Tricycles and Bicycles for those people who weigh more than 250 pounds that require a more robust design than regular tricycles and bicycles. We are pleased to announce that we will be introducing several trikes at Connections 2008 this weekend! JoyRider models come in freewheel and fixed gear versions as well as Adult and Junior sizes. LowRider fits adolescents and adults. The Banana Peel is great for adolescents and teens with 16" wheels. Details and photos of these exciting new models can be viewed on this page. We are pleased to announce that we will be introducing several trikes and pedal cab for the Spring! Handy models are hand powered and come in 2 styles - Recumbent and Upright seating. Micah is a rehabilitation bicycle with rear caregiver steering. The 2 Rider is a 4 seater pedal cab. Tri tandem and new accessories added to product lineup. If you are a client of Holland Bloorview Kids Rehabiliation Hospital you can book an appointment to view and test some of our products. 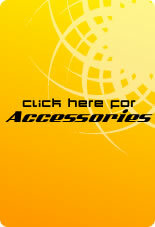 Please contact us for a current quotation on all your tricycle and accessory needs. Not all products are stocked items and are subject to extra costs.